Prepare for your PR! 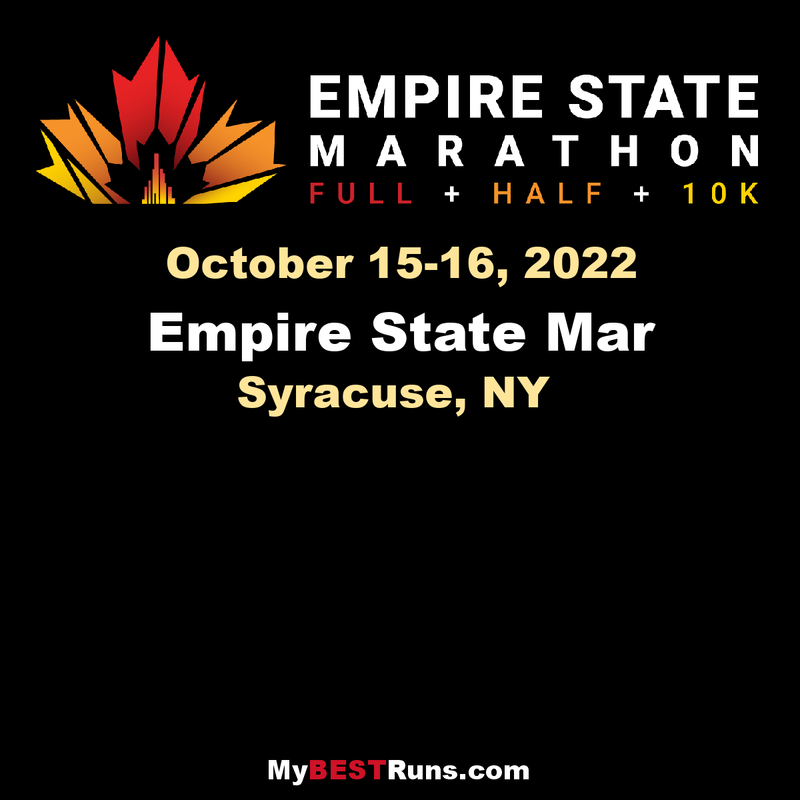 The Empire State Marathon is the perfect NY/Boston Marathon qualifier or tune-up, and it’s returning for it’s 7th year this Fall in beautiful Syracuse, NY! With full and half distances as well as a stellar new 10k course, this popular upstate marathon winds along the beautiful Onondaga Lake in Syracuse, NY with an exhilarating finish outside NBT Bank Ballpark! The Empire State Marathonis returning for it’s 7th year this Fall, providing yet another amazing competition in anun-rivaled atmosphere. With marathon and half marathon distances, this popular upstateracehas been a favorite for destination athletes. Based in Syracuse, NY the course features an Onondaga Lake setting with more welcoming views than you might expect when running miles on end. ESM features (3) distances, an USATF-certified marathon and half marathon course, and an out & back 10k option that all start at NBT Bank Stadium in Syracuse, NY. The marathon course is extremely fast & flat with just a tiny bit of rolling terrain to keep your legs fresh. The biggest things that makes Empire State Marathon's weekend festival are the 1 mile family-fun run inside of the ballpark on Saturday during our expo, the live music from 4 local bands all day on Sunday, and the option to finish any of the race distances RIGHT AT HOME PLATE at NBT Bank Stadium in front of thousands of cheering spectators!